The University of Oklahoma men's basketball team used a 21-5 run over the game's final 5:28 to post an 89-68 win over St. Jan-Antwerp in an exhibition game Saturday in Antwerp, Belgium (box score PDF link on right side of this page). OU, which improved to 3-0 during its five-game European tour, jumped out to a 28-12 lead early in the second quarter thanks in large part to its swarming defense and a fast start by senior Cameron Clark. St. Jan-Antwerp countered with an 8-0 run to make the score 28-20 and the Sooners eventually led 37-27 at halftime. From there, OU's advantage hovered between nine and 16 points until a fourth-quarter opponent rally cut the margin to just five (68-63) with 5:50 remaining. That's when freshman point guard Jordan Woodard triggered a 15-2 OU response by hitting a 3-pointer from the left wing. Senior forward Tyler Neal added back-to-back treys during the run to help sew up the win for the Sooners. "A good finish," said OU head coach Lon Kruger. "A little sporadic with our play; it was the third game in three days. Coming back today in an afternoon game, I thought our guys battled that pretty well. We had good stretches in the ball game. We need to continue to work on identifying what we want to do defensively and do it a little more consistently. But we had a lot of good play." Clark led five Sooners in double figures with a team-high 18 points. He had 12 points by halftime and finished 8-for-13 from the field. 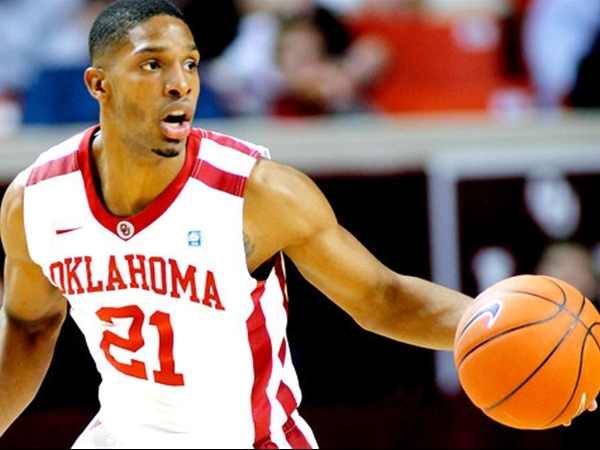 He also led the Sooners with 11 rebounds and contributed three assists and two steals.